How Wearable Technology is Shaping the Enterprise App Development? The versatile Wearable Technology is opening up new vistas with business-centric mobile apps. The technology is still in a nascent stage and as per the recent trends on this emerging technology, we see that the juggernauts of the Wearable Technology are focussing on creating such products that are oriented towards business applications. The Wearables offer a series of futuristic dreams that are as of now in the pipeline. The best part of the wearables is the ability to work hands-free with computing devices whose nature is multi-functional. There is a common notion about Wearables that they are restricted only to the smartwatches. 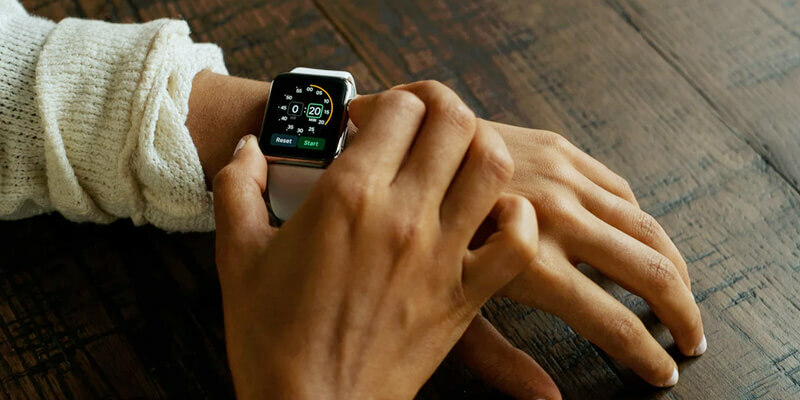 Wearables are poised to meet the business requirements of several enterprises and these businesses will leverage on the technology by developing enterprise apps. There will be a huge surge in the employee productivity and effectiveness for your enterprise as the employees will have the right information, at the right moment. We can well imagine a situation when you have arrived for a sales meeting and have completely forgotten notes, files or even your laptops, but just have your smart glasses. Wearables will be able to provide you with the exact information on the client such as name of the client concerned, last order details, any reviews and the date when the last meeting was scheduled. There can be better examples that can be cited for the application of Wearables as a field-technician will get connected with an expert in the corporate office, displaying a point-of-view video of the machine in real-time, showing the expert a minute detail but at the same time keeping his hands free for continuing with the repair work. We may conclude that the Wearables have a bright future indeed, but whether they hold as a technology that will rule the future of enterprise development, is a debatable matter. The trends as found by Forbes prove that the Wearables will improve productivity by 8.5% and enhance employee satisfaction by 3.5%. The enterprises are widely using the smartphones. In order to prove their worth the Wearable Tech can prove that they have such usage which is not possible through the smartphones, as they are either not reliable or ill-equipped to handle. In this nascent stage of development, the wearables simply act as some sort of accessory for the smartphones. But, portability and hand-free usage are the major advantages that will enable to place it in a position which outsmarts the smartphones. Wearables trend to have a wide impact on various sectors. While talking about the health care, we see that the wearables getting used as surgeons conduct the operation, without any disruptions, watching it at the same point in time. We find more wearables found in the manufacturing industry as smart glasses can stream video in real-time for technicians working off-site. Using the Wearables as a part of corporate mobility strategy is yet to be decided as enterprise app development team are still in the process of adopting the smartphones. The main aim of the enterprise app development team will be to make the task of the worker, simpler and more effective. The Enterprises will be able to take more advantages for apps that require little financial investments. Enterprises will only adopt this nascent technology, when the manufacturers resolve the issues related to enterprise app development. One major impediment that comes on the way of the wearables is that of fragmentation. The developers will face hurdles in the way to advancing the technology, as they develop applications on myriads of platforms and devices in the enterprise, lacking uniformity. As a consequence, there is cost that is incurred and the apps are complex in nature. Another concern is that of the security of the wearable app. It might add another level of complexity, simply eavesdropping on the employee devices. Other factor that is under consideration is that of the cost. The Wearable Technology simply need to be justified with cost. Appinventiv is of the best mobile app development companies. They have grown at a tremendous pace, in just two years and added considerable high-skilled workforce. They believe in building innovative and creative apps for their valued customers.